As it is known, dip powders are hybrids of fake nails and manicure. This hybrid has said to be better than any other sort of manicure since it can last for 3 to 4 weeks without chipping off. Unlike the typical acrylic or gels, dip powders require less filing because they are so thin. Essentially, fewer tools are required for this process. Their look is more natural and their application mode is easy. Furthermore, their chances of lifting are very limited. In this article, we will look at how to do dipping powder. The initial step involves making your nails as clean as possible by removing any material on the surface of the nails. This is done using a cuticle pusher or a polish remover. Using a lint-free pad, you can remove the polish on the nails using a non-acetone nail remover. You should nudge back your cuticles gently using a cuticle pusher. The excess cuticle that sticks up with a scraper or cuticle trimmer should be gently removed. When this is done, the new nails that grow will show and allow the manicure to last for a long time before the nails can be filed. After grooming the nails, their top surface should then be buffed. Make sure that the surface of the nails is manually smoothened using a file. You can use a natural nail stone, a block or a 180 grit file. Using a makeup nail powder or a nail brush, you can then brush away the grit that comes off after filing. When buffing the cuticle and groove areas, you should be far more attentive. Examine all parts of your nails to establish any problematic areas. You should then file these areas. Using a nail sanitizer, a lint-free pad or a paper towel, soaked in alcohol, rub the nails and your finger around using this towel to sanitize the nails and avoid sealing in grime or bacteria. If you would like to extend your nails, you should look for nails of the right size that do not cover a third of the total size of the nails bed with every tip on each nail reaching across the whole nail width. The wells of the tips should be coated using resin. If you do not find the right size of the nails, you can file the parts that do not fit to allow them to fit perfectly. The nail tops should then be trimmed and filed as you buff them and the rest of the nails to remove the shiny part. The initial step when coating the nails with powder is painting the bonder. About 1/16” from the cuticle, spread the powder and give it just a minute. Do this to all the nails. The second step involves brushing the nails with resin slowly and evenly. You should use the belly of the applicator brush to dot the resin rather than doing it like nail polish where you apply in strokes. Thereafter, take the nail powder container, shake it well and use the nail stick to mix it. Immerse your fingers into the powder for 5 seconds and remove them. Tap the nails to ensure that you shake off the excess powder. Apply a resin layer on the nails slowly and evenly. Apply two layers of activator on the nails as you give them an instance of 5 seconds each in order to settle. Make use of a soft grid file to file the edges of the nails as you shape them. Keep your fingers sedentary for approximately 2 minutes and then apply some cuticle oil on them. Make sure to apply the top coat as the last. Using a nail brush, hand soap and warm water, wash your hands as you get even under the nail tips. You should do this when the nails are completely dry. Use a towel to pat dry your nails. all you are left with is maintaining the manicure by applying a clear top coat after a few days, using mild soap when you wash your hands, using a cool ail fun to dry your nails and preventing coloured polish on your manicure from getting to the cuticles. You can use kiarasky dipping powder or OPI dip powder. 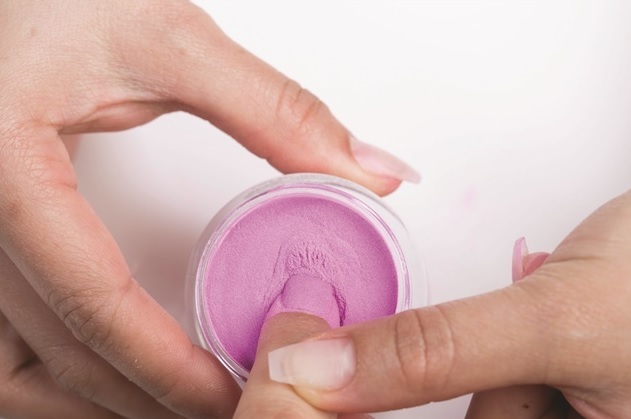 Dipping powder involves a very easy form of the manicure process that everyone can perform. It makes it easy to perform it at home without even going to the nail salon and using a lot of money to perform it. All that you need to have is the necessary equipment and products to come up with a perfect manicure. If you need it, you should just go for it.